Winter is the perfect time to take a trip to Spray Lake. 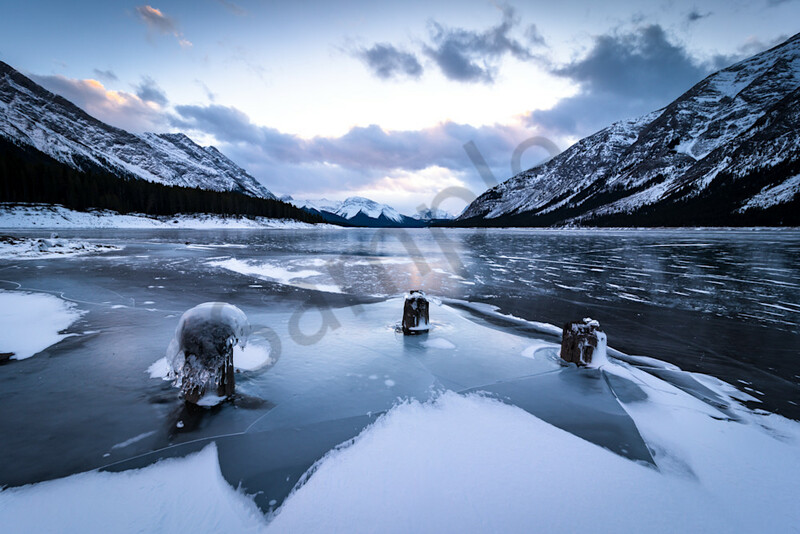 This is when the lake is frozen and famous for the beautiful methane bubbles you can see under the ice. Located near Canmore, Alberta, Canada, the Spray lakes are a must see when traveling through the area. In the summer, the relections in the pristine lake is other worldly. In the winter, the frozen methane bubbles caused by decaying organic matter makes this a popular destination for locals, and visitors alike.